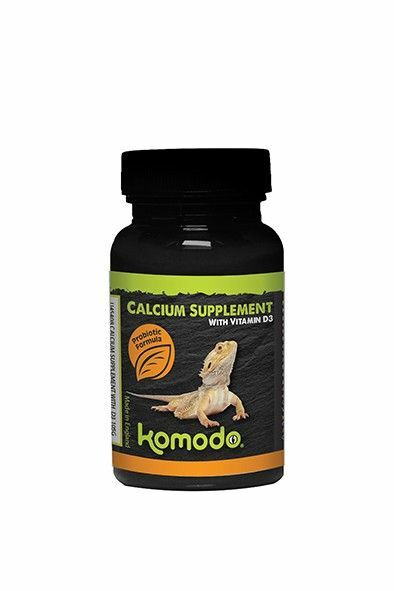 Komodo's Calcium Supplement with D3 is a high potency product designed to help provide a balanced diet. Specifically formulated to guard against conditions such as metabolic bone disease (M.B.D. ), soft shell and other nutritional disorders this supplement has been created with the help of veterinary research and professional herpetologists. Komodo's supplement delivers safe levels of vitamin D3 alongside a broad spectrum of essential vitamins, Brands/Minerals and other trace elements and is suitable for a wide range of reptiles and amphibians.